Powerful & Professional, The M.V. 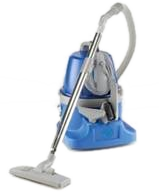 Vacuum Cleaner Is Designed For Commercial Use Offering A Wider Cleaning Range. Comes Complete With A Choice Of Brush & Nozzle Attachments. 10m Cable, Long Hose & Telescopic Steel Wand. 12 Liter Dry Capacity, 1000 Watt Motor With Triple-Filtration For Dust-Free Operation. Strong Metal Clips Secure Motor/Filtration Housing. Easy Access To Integral Tool Kit & Cable Store. Impact Resistant Polypropylene, Protective Bumpers & Swivel Castors. We have a large variety of wet & dry models available. 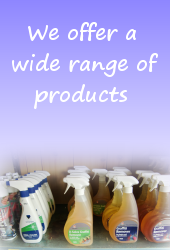 Spares and Accessories available on all Commercial Vacuum Cleaners, Floor Machines and Polishers.